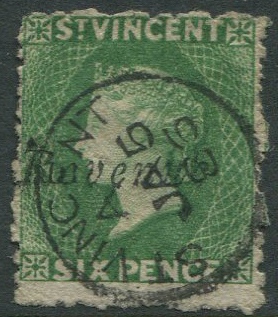 with forged ST VINCENT code A cds cancel, fine. 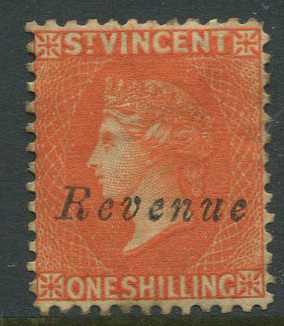 1882-3 St Vincent Revenue 1/- fresh unused. 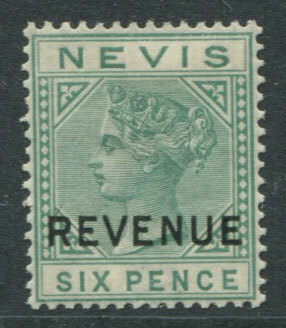 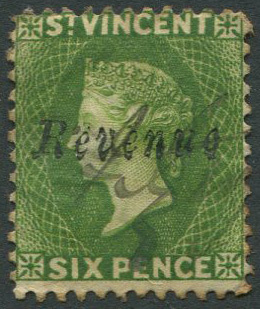 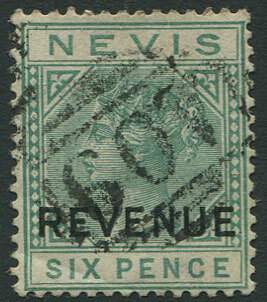 1882-3 St Vincent Revenue 6d with pen cancel. 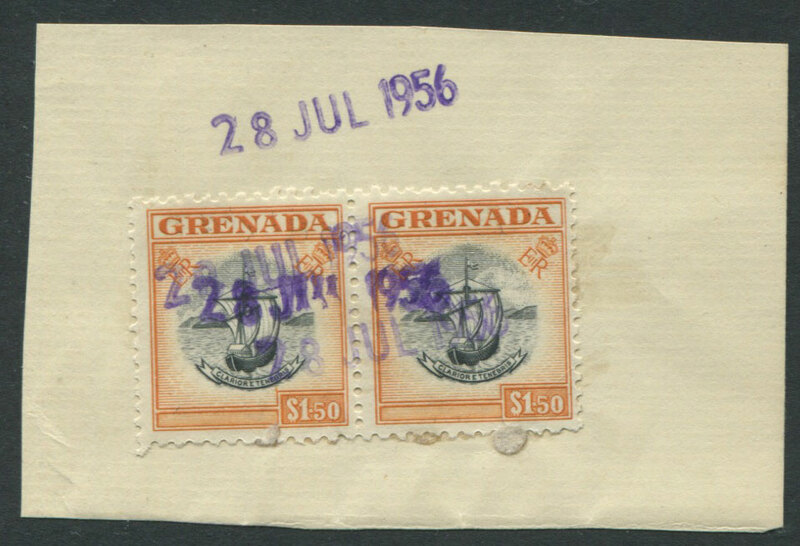 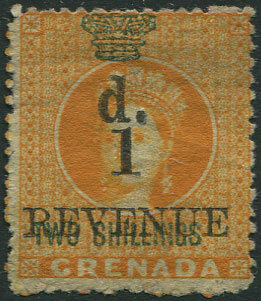 1884 Grenada revenue 1d on 2/- (Barefoot 24), fresh unused. 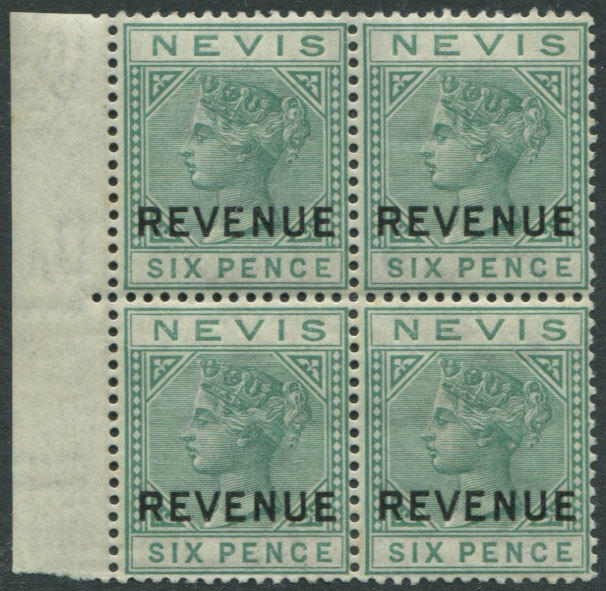 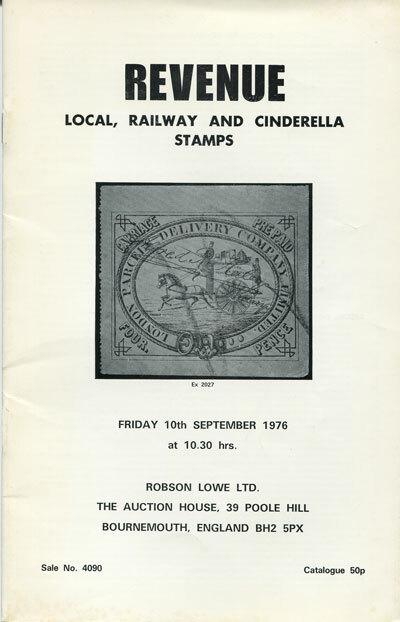 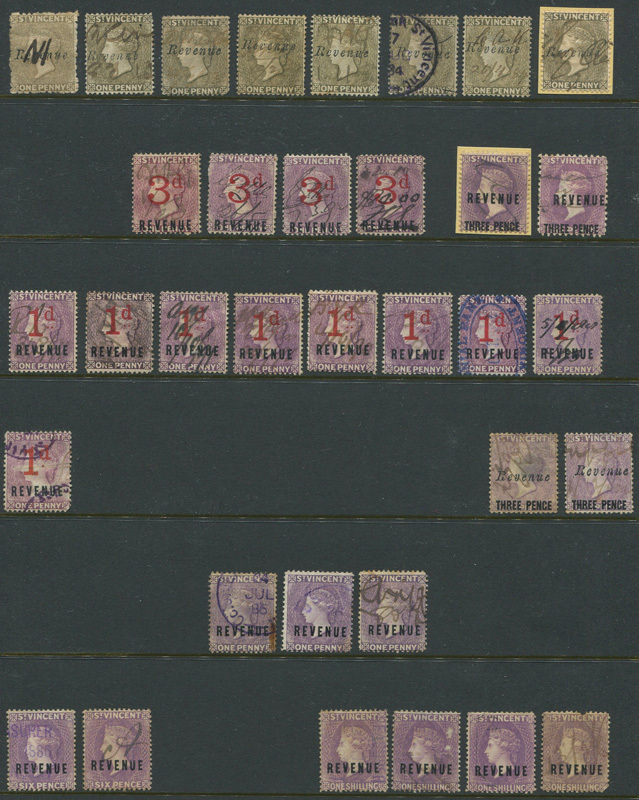 pair on piece with revenue datestamp cancels.